Having read and watched many reviews we can honestly say that selecting the best Volleyball Shoes is not as easy as it may seem. You need to consider a number of features before coming to your decision including the sole of the shoe, the material used in construction and the design of the shoe. These aspects include the cushioning provided, support offered, especially when having to make quick foot movements, the weight of the shoe and the breathability of the material used in its construction. Traction is also a very important aspect of any volleyball shoe. Selecting the correct volleyball shoe for your requirements will help you to reduce injuries and at the same time raise your performance to a higher level. More interested in basketball? Check out our review of the top basketball shoes. Can you wear Volleyball Shoes for Tennis? What is the top Brand of Volleyball Shoes? There are so many different brands on the market that selecting the right one can seem very daunting, so we have looked at those that are available from the different top brands on the market, and selected our top shoes to help you perform at your best. So what do you look for in a Volleyball Shoe? Comfort, the breathability of the uppers, traction on the sole and great stability are all excellent qualities in a Volleyball shoe and will give you the advantage on the court. So let’s have a look at some of the more important aspects to a Volleyball shoe. This is provided for by the inner sole of the shoe. 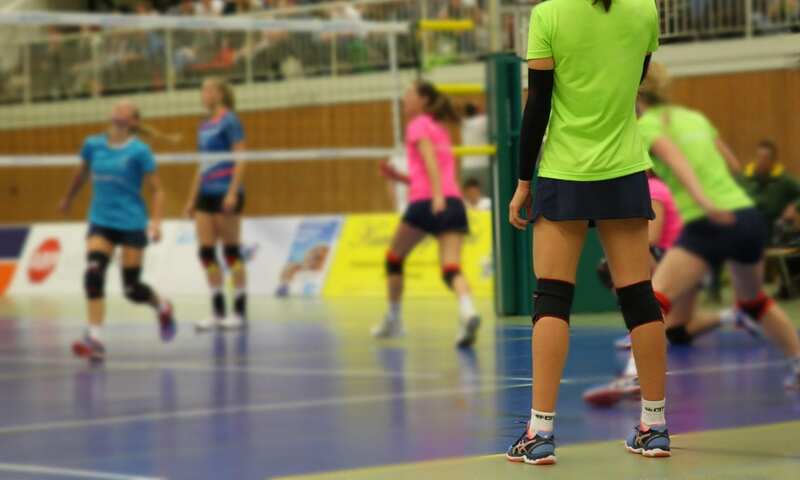 Padded and cushioned forefoot and rear foot pads are important as Volleyball players often have to spend a long day on their feet when participating in all-day tournaments. Having a shoe that offers you the comfort you need will enable you to perform at you peak at all times. The midsole of the Volleyball shoe is designed to absorb the shock of impact from jumping, quick stops and fast changes of direction. The midsole of the Volleyball needs to be strong yet flexible to give you the best performance. This is one of the most important aspects of a Volleyball shoe. 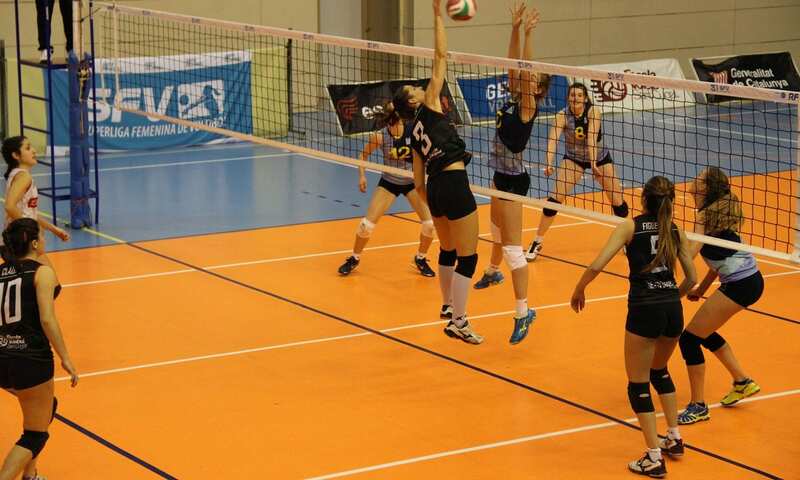 Volleyball players need to move quickly around the court in multiple directions. Quick changes of direction are also common. Moving forward, backward and left to right or vice versa quickly is imperative, you go where the ball goes. Having a shoe that offers the stability to cope with this type of movement is vital to prevent injuries such as rolling your ankle. Having a shoe that provides the kind of stability you need might not prevent ankle injuries, however, it does lessen the chances of you sustaining one during a game. Although most athletic shoes will provide you with the stability to move forward they may not provide the multidirectional movement necessary in a Volleyball game. The traction on the Volleyball shoe is also vital. It needs to have a superb grip as you will be moving fast, stopping and changing direction quickly, your shoe needs to keep you stable on the ground without allowing you to slip, fall and injure yourself. The grip your Volleyball shoe offers is one of the most important aspects of your shoe. Volleyball is a fast and furious game that demands a lot from your feet. This means that your feet will get hot and sweaty. A shoe that allows for adequate airflow to keep your feet cool and dry is essential. The cooler your feet the more comfortable you will feel and you will perform a lot better on the courts. The weight of your Volleyball shoe is important. You don’t want to have a shoe that weighs you down on the court. Volleyball is a game where fast movement is required and if you have heavy shoes on your feet, you may find that your feet tire quickly and you will not perform at the level you should. Having a shoe that responds quickly to your needs, such as jumping, sprinting or having to turn quickly, you will find that you perform at your best on the courts. Bearing this in mind, you need a shoe that is lightweight without sacrificing both stability and durability. 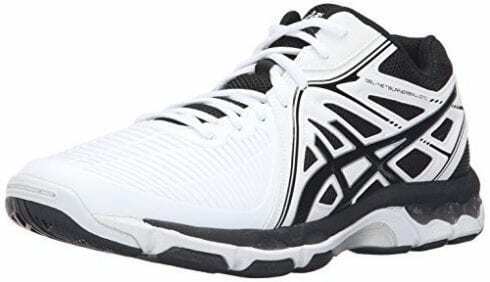 The ASICS Volleyball shoes are great for this kind of construction and are designed to be some of the lightest Volleyball shoes on the market. There are a number of different Volleyball shoes on the market and although they each have much the same features, it is ultimately the design and fit of the shoe that will make all the difference to your selection of the perfect Volleyball shoe to meet your needs. When selecting the correct shoe you need to consider that a great Volleyball shoe will allow your foot a great range of movement, without it being able to slip or slide around inside the shoe. The Volleyball shoe should fit snugly without being too tight. If you have wide feet then you need to look for wide width Volleyball shoes and not merely the most popular Volleyball shoe. The same is the case if you have foot or ankle issues. Looking for Volleyball shoes with ankle support is important if you have weak or vulnerability in the ankle regions. The fit of the shoe is paramount. When you decided which Volleyball shoe you want, you need to fit a pair on to make that final decision. Be sure to wear the same socks as you would when playing and also bring along any braces you might wear when you go for your fitting. Choosing a Volleyball shoe that is gender specific is always a good idea. Men and women’s feet differ both in shape and size and a standard men’s size 7 will not necessarily fit a lady properly. Selecting the right Volleyball shoe will make all the difference to your performance on the court, as well as your enjoyment. Select the shoe that provides the right amount of support and cushioning you need. Select one that provides stability and security to you when playing and most importantly selects the one that offers the best fit. Since 1949 ASICS has been making quality athletic shoes and their Volleyball shoes are no exception. Started by Kihachiro Onitsuka in Kobe Japan, ASICS has become a world-renowned brand that provides the comfort, support, stability, traction and breathability you need in a Volleyball shoe. This is a low-top athletic shoe that offers a number of features to ensure you perform at your best. It is lightweight, using the Truss Tic System Technology, the sole of the shoe’s weight is reduced but still remains stable and retains its structural integrity. The synthetic material from which the uppers are made from are highly breathable. This is important to keep your feet dry and cool throughout your matches. With an outstanding fit, the cushioning provided by the volleyball shoe with excellent shock-absorbing gel cushioning in the forefoot of the shoe to take the pressure off of your toes when playing. When you play Volleyball you need to do a lot of jumping, and this system absorbs that impact allowing you to concentrate on your game and not the pain in your feet. The soles of this top-rated Volleyball shoe is constructed from rubber, the traction is exceptional giving you the best grip on the courts as you set or spike the ball. The sole remains stable despite the fact that it is one of the most lightweight on the market. The gum rubber on the outsole of the shoe provides added traction. Constructed to offer the stability you require when having to move quickly in multi-directions this is one of the best women’s Volleyball shoes available. 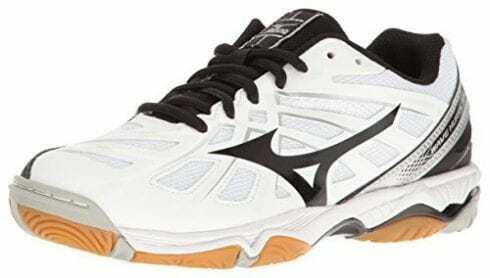 A sturdy, lightweight construction that offers the stability and confidence to move around the court quickly and easily. It is a low-top shoe that is extremely comfortable, offering Trussic System Technology, which offers the toes and forefoot the protection and cushioning it needs, especially when jumping. The fit is one of the best and that is why it is one of the recommended Volleyball shoes for women available today. 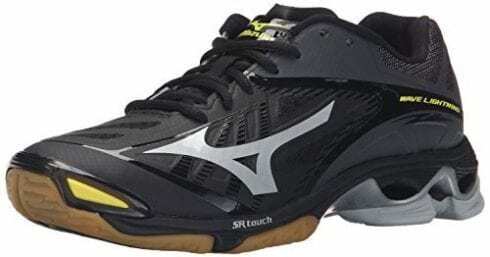 Mizuno is a brand that is connected with quality, since its founding in 1906, Mizuno has provided a number of superb athletic shoes for all sports and their Volleyball shoes ensure that you get the best to enhance your performance on the court. The construction of the shoe is remarkable. It is designed to offer the best fit with Dynamotion and is extremely lightweight. The low-top shoe offers superb support and stability on the court with a parallel wave plate to ensure that you get the stability you need when making lateral moves, essential for any Volleyball player to be able to do. The synthetic material of the shoe offers great breathability and the Mizuno intercool makes sure your feet remain cool and dry during your matches or training sessions. The air mesh upper and D-flex groove along with the anatomical cup-in-sole ensures the best comfort from any Volleyball shoe. The cut and construction of the shoe offer you the added benefit of being able to accommodate an ankle brace that you may need without compromising its fit. Despite this being one of the lightest Volleyball shoes, weighing in at a mere 8.8 ounces, it is a shoe that will not weigh you down on the court, it still maintains the stability and support you require with its superb construction and parallel wave plate. The rubber outsole of the shoe provides some of the best traction you will get. The outsole is non-marking. Providing cushioning to give you the most comfort you can get on the court and allowing you to concentrate on your game and not your feet. This may be one of the most expensive Volleyball shoes but are well worth every cent you will spend on them. With superb cushioning, support and stability the low-cut shoe offers a parallel wave plate that provides the stability to be able to make quick, efficient movements with confidence on the court. The fit is designed to be able to accommodate any ankle brace you may need to use. This shoe is perfect for both match day and practice. One of the best girls Volleyball shoes on the market that offers everything you need to lift your game to the next level. In 19 7 7 Mr. Onitsuka chose the name ASICS for his athletic shoes, it means "A sound mind in a sound body" and his Volleyball shoes are designed to bring that harmony between the body and the mind, giving you the edge on the courts. Lightweight, breathable and offering great stability, this Volley shoe is designed for the recreational player who wants to get that extra boost, this women’s Volleyball shoe is one of the lightest and most recommended Volleyball shoes on the market. The construction of this low-cut Volleyball shoe is extremely lightweight, the textile and synthetic uppers allow your foot to breathe, keeping them cool and dry throughout the game and adding to your comfort levels. The ASICS Volleyball shoe offers a shock-absorbing system with gel cushioning in the forefoot to give you the best impact absorption when jumping to deliver that perfect spike. The style and design of the shoe allow for the perfect fit and offers you some leeway to use braces if needed. The outsoles are constructed out of NC rubber which. This contains a lot of natural rubber, more than your traditional solid rubber. The construction enhances the traction of the shoe and enables you to move quickly and with confidence across the court whether you need to block, spike, or set. The soles are cushioned to protect you from heavy impacts when jumping. The soles are also extremely lightweight, however, they still remain extremely stable and maintain their structural integrity. 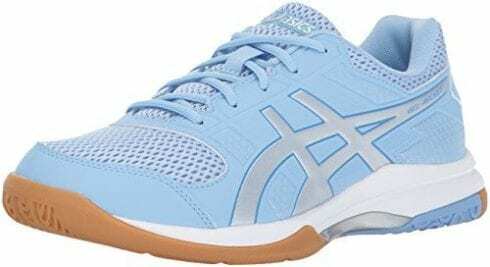 One of the best women's Volleyball shoe around, this ASICS provides you with the support, breathability, stability, and comfort you require when hitting the courts. It is designed to reduce the shock of impacts with forefoot gel cushioning and the Trusstic system lightens the sole of the shoe without sacrificing its integrity. A low-cut Volleyball shoe that offers improved traction with the gum rubber outsoles, they are one of the best ASICS Volleyball shoes for recreational court players who want to lift their game up a notch or two. Combining passion with technology and exceptional craftsmanship has made the Mizuno brand on the best on the market and they bring all their knowledge and ability to create a great women's Volleyball shoe to enable women to lift their game while enjoying stability, support, comfort and breathability which this Mizuno Volleyball shoe provides. This is certainly one of the top 10 Volleyball shoes on the market today and is perfect for lifting your game to a new level. The construction of the shoe is from textile and synthetic materials, it is a low-cut design which allows enough space to accommodate braces or other devices needed to stabilize the foot. The parallel wave plate ensures that you get stability when moving laterally, which is essential for all Volleyball players. The fit is Dynamotion to ensure that no matter the shape or size of your foot it offers a secure and stable fit. The tongue and collar are both padded for added support and the lace closure secures the shoe on your foot even when you are playing hard. The air mesh upper allows your foot to breathe and the synthetic overlays make it highly durable. The sole of the Mizuno is synthetic with a rubber outsole that provides superb traction on the court. It is also non-marking and extremely lightweight. Providing cushioning to give you the comfort you need when jumping this is one of the most popular Volleyball shoes for both practice and game time. The traction of the shoe coupled with the parallel wave plate it features ensures that lateral movement is performed with confidence. A lightweight shoe that weighs in at a mere 8.6 ounces, this Volleyball shoe offers support, comfort, and breathability. The air mesh upper and synthetic overlays make it extremely durable as well as offering superb breathability. The outsole offers great grip and this traction allows you to move quickly and decisively around the court. The parallel wave plate provides the lateral stability required. Designed for teams and players to use both in practice sessions as well as on match day. 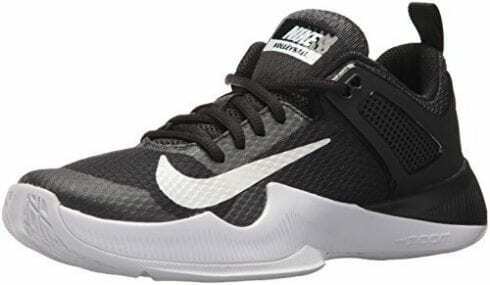 These shoes for Volleyball players is one of the top rated one's available today. A professional Volleyball shoe from Nike for women who want to take their game to the next level. It offers features that ensure not only your stability on the court but also the most comfort and durability you can get from a Volleyball shoe. This is one of the best Nike Volleyball shoes for women on the market today. The upper of these Volleyball shoes are constructed from a mesh material. This material is not only highly durable but also breathable, allowing your feet to get the airflow they need to keep cool and dry throughout the game. The TPU cage designed into the shoe ensures that the support and stability you get are enhanced. It features a pull tab on the heel of the shoe to for easy on and off. The TPU cage will conform to the shape of your foot ensuring a superb feel and fit the Volleyball shoe. The Zoom Air unit, a hallmark of Nike athletic shoes, provides remarkable cushioning and makes the shoe lightweight enable you to move with confidence on the court. The soles are constructed from rubber. This rubber has superb traction, allowing you to grip the surface of the court and offering you the ability to move quickly and decisively with confidence. It is a firm yet flexible sole designed to be used on hard court surfaces and will give you the stability you need, while also providing a shock-absorbing base for your feet. One of the best women's Volleyball shoes from Nike. The Zoom Air unit provides you with a lightweight, cushioned, comfortable shoe that is designed to be used for practice or on match day. Offering a TPU cage for support and stability you will be able to make those fast and efficient moves around the court with speed and confidence. It is durable and highly breathable with a mesh upper and the rubber sole provides the traction all Volleyball players need. The TPU cage is not only designed to support your foot but also provides a superb fit. A top Volleyball shoe that is great for both practice and on match day. Just like its women's counterpart, the ASICS Men's Gel-Rocket 7 provides male Volleyball players with a shoe that offers support, stability, and breathability. 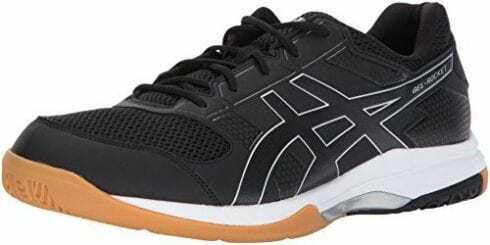 It is one of the best men's Volleyball shoes from ASICS, one of the best brands of Volleyball shoes around. The mesh upper of the shoe which also features synthetic overlays make it ultra-durable as well as breathable, allowing your feet to get the airflow they need to remain cool and dry during the game. The footbed of the shoe is cushioned and this with the court-specific forefoot GEL cushioning system will ensure that your feet are protected from hard impacts and remain comfortable throughout the game. The molded-EVA midsole offers added support and stability to the shoe. The lace closure of the shoe ensures that your foot remains securely in the Volleyball shoe at all times and also helps to enhance the fit of the Volleyball shoe. The sole of the ASICS is constructed from NC rubber and offers superior traction on the hard courts. The Trusstic system from ASICS, which prevents excessive twisting as the foot moves, offers you an extremely lightweight sole that does not sacrifice any of its stability or any of the shoes ultimate integrity. Designed to absorb impacts from jumping and sudden stops and change of direction, the sole is grippy and soft, with just enough give to provide the comfort levels you need during a hard game. This ASICS Volleyball shoe offers all the features that a great Volleyball shoe should have. It is lightweight with the Trusstic system ensuring that the shoe retains its integrity and stability. The mesh uppers provide the breathability and flexibility you need in a Volleyball shoe and the molded EVA midsole, and forefoot GEL cushioning system provides the shock-absorbing qualities needed especially when you play at the net and need to jump to spike, set or block. Designed to help the recreational Volleyball player to take their game to the next level this is one of the best and most popular Volleyball shoes for men available. 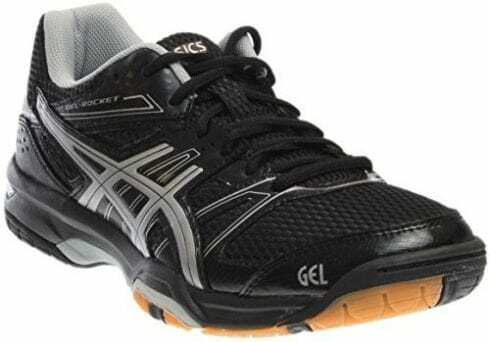 The ASICS Men's Gel-Rocket 8 is a great update on the Gel-Rocket 7 this shoe is perfect for both beginners and intermediate hard court players who want to take their game up to the next level. Extremely well priced and superbly constructed this ASICS Volleyball shoe is designed to offer the comfort, durability, stability and support you need in a Volleyball shoe. 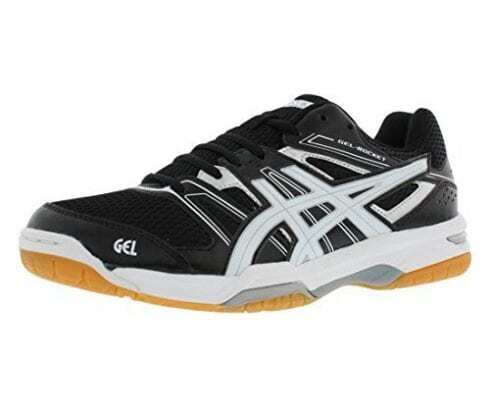 This ASICS Volleyball shoe is constructed from a synthetic mesh material which makes it breathable and flexible. It will mold to the contours of your foot offering the support you need. The forefoot GEL cushioning system ensures that you are protected from the impact from jumping when spiking or blocking at the net. The low-top shoe is designed to offer a comfortable fit and allows for the use of any ankle braces needed. The Trusstic system technology will not only reduce the weight of the shoe but also allows it to maintain the shoes structural integrity and stability. The soles of these men's Volleyball shoes are constructed from gum rubber which offers superb traction on the hard courts. They are extremely lightweight, yet stable and offer great shock-absorbing qualities to ensure that your feet are protected from impacts from jumping. One of the best Volleyball shoes for hitters this shoe allows you to move with speed and agility and the soles are designed to give you the boost you need to rise up at the net and spike the ball with power. A superb Volleyball shoe for men who want to take their game to the next level. The low-top construction of the shoe makes it extremely comfortable and stable and allows you to use ankle braces if needed. The cushioning of the shoe in the form of the forefoot GEL cushioning system provides excellent shock-absorption when jumping. The Trusstic system helps to maintain the integrity of the shoe while making it one of the lightest Volleyball shoes on the market. This ASICS Volleyball shoe offers superb fit, excellent traction, great comfort, and breathability and is one of the top Volleyball shoes on the market today from ASICS. Mizuno offers a men's Volleyball shoe that provides breathability, stability, and comfort to men's Volleyball players. It is designed to protect your feet during intensive play on hard courts providing excellent comfort with the technology used. One of the best men's Volleyball shoes from Mizuno it is designed to be used both on match day as well as during practice. The construction of the shoe is designed to offer the best fit and most comfortable you can get in a Volleyball shoe. The Dynamotion fit of the shoe ensures that you get a secure and stable fit and the lace closure ensures that the shoe remains securely on your foot and enhances the overall fit. The material used on the upper of the shoe is air mesh, this material is extremely breathable and allows your foot to breathe keeping them cool and dry throughout the game. The shoe offers protection for your toes in the form of a Dura Shield toe guard. The parallel wave plate incorporated into the shoe provides the stability required when making lateral moves on the court. The low-cut Volleyball shoe is designed to allow for the use of ankle braces should they be required. The Volleyball shoes have a rubber sole that is designed to offer the best traction. It has a gum rubber outsole that will not only protect your foot while on the court but will also prevent any slipping or sliding on court. The outsole of the shoe is non-marking. The sole is flexible enough to allow for fast movements on court, while still offering the protection needed and shock-absorbing qualities needed to cushion your foot when jumping. This classic Mizuno low-cut Volleyball shoe is lightweight and durable. It offers the technology of parallel wave plate to allow for stable lateral movement, the Dynamotion fit ensures that the shoe feels comfortable and stable. Perfect for both practice games and match play, the air mesh upper provides the breathability you require to keep your feet cool and dry. The rubber sole provides the traction you need to move confidently around the court. These cool Volleyball shoes are designed for club and collegiate team players to reach their full potential on the court. These ASICS Volleyball shoes are supportive, comfortable and stable. They provide a number of features designed to offer Volleyball players the ability to move quickly and confidently around the court providing protection and support throughout the game. The construction of this mid-top Volleyball shoe is designed for ultimate comfort, featuring both rearfoot and forefoot GEL cushioning systems which provide the support you need when jumping and moving quickly around the court, allowing you to make fast multidirectional movements with confidence. It also offers shock-absorbing qualities and protects the toes during push-offs. The fluid ride midsole of the shoe is designed to not only make the shoe lighters, it also allows the inner sole to bounce back to its original shape and enhanced durability. The quarter panel brace is designed to wrap around the foot enhancing the support offered and this along with the ASICS Trusstic system allow for stable lateral, movement on the court. The soles of these great Volleyball shoes are constructed from gum rubber. They offer superb traction to allow for stable and confident movement around the court. The NC rubber outsole contains a large amount of natural rubber, more than your traditional soles. The Trusstic system technology is designed to keep the sole as lightweight as possible while still keeping the shoes structural integrity and stability. The sole will help to absorb the impact from jumping and this makes it one of the best jumping Volleyball shoes and one of the best for hitters. A great Volleyball shoe that offers both rear and forefoot cushioning with its GEL cushioning systems. Designed to allow for lateral movement and multidirectional movement with great stability and support offered in the form of the Trusstic system technology from ASICS. A mid-top shoe that has a perfect fit with a fluid ride midsole which provides exceptional bounce-back qualities and shock absorption. A professional Volleyball players shoe that will provide the support and stability and traction required for this fast-paced game. The next evolution of the Netburner Ballistic ASICS shoe we reviewed earlier. This Volleyball shoe is designed to offer the best support, comfort, stability, and durability you can get, along with an excellent fit and it protects the foot from impact shock. One of the best shoes to play Volleyball in this is one of our top 10 Volleyball shoes on the market today. This is a mid-top Volleyball shoe that, in its construction, provides you with both rear and forefoot cushioning in the form of a GEL cushioning system. This system is designed to absorb the impact of power push-offs and jumps. The shoe is designed to allow your foot the full range of movement and will accommodate any gait. The Fluid Ride Midsole of the shoe gives you perfect energy return and bounce back along with superb cushioning to ensure your foot is always supported and protected. The quarter panel brace will wrap your feet securely into the shoe and adds support especially when you are moving quickly from side-to-side. The rubber sole on this Volleyball shoe is designed to offer the ultimate traction and stability with the Trusstic System technology that allows you to make lateral movements with great confidence, it also makes the shoe extremely lightweight without sacrificing its structural integrity. The NC rubber outsole contains a substantial amount of natural rubber as opposed to solid rubber that is used in some other soles, this NC rubber enhances the traction that the sole offers. ASICS brand is one of the best athletic shoe brands on the market and their Volleyball shoes for men encompasses all the aspects of a great athletic shoe. It has superb traction and coupled with the Trusstic System Technology ensures that you remain securely on your feet even when making speedy lateral movements on the court. Your foot is secure in the shoe and the quarter panel brace wraps your foot up nicely to add that extra support you need when playing. One of the best professional Volleyball shoes on the market and a great offering from ASICS for men who play collegiate or club Volleyball. Volleyball shoes are those shoes that are designed to offer you the best kind of support, comfort, and traction that Volleyball players require. They are designed to cope with the fast pace of the game, having lateral movement support and secure fits. Yes, you can use volleyball shoes to play tennis but there are a few drawbacks to doing this. The first one is that Volleyball shoes are designed to be sticky and have exceptional grip. They are extremely lightweight in comparison to tennis shoes and although they offer the stability you will need they are not in the same league as a good pair of tennis shoes. Because of the grip the ASICS and other brands offer you might wear your shoes out quickly when playing tennis in them. There are three major players in the world of Volleyball shoes, Mizuno, ASICS, and popular Nike. These are the top brands of Volleyball shoes on the market and Mizuno is the brand used by the USA Volleyball teams. These brands Volleyball shoes offer the traction, support, stability and comfort you need in a Volleyball shoe, employing the latest technology to enhance their designs. They use the best materials to manufacture their shoes to ensure that you get the breathability you need. When you are considering which Volleyball shoes you will need, you must consider what type of player you are. You need to consider what type of qualities you are looking for in a Volleyball shoe, be it superb traction, excellent shock absorption or added stability. The shoes you wear when playing Volleyball are paramount as you will be doing a lot of footwork on hard surfaces. Having a shoe that offers shock-absorption and stability is one of the big things you should look for. 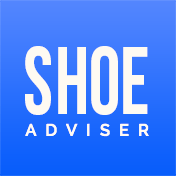 Importantly, if you do not get the right fit, then all of the features on the shoe will not be worth much, so fitting your shoe correctly is vital. When selecting your shoe for volleyball to determine what type of socks you will be wearing as well as any kind of brace you might need and fit your shoe wearing these items. A great Volleyball shoe for men or women must have some vital characteristics, these include comfort and support, stability, excellent traction and of course breathability. The Volleyball shoes reviewed are all great athletic shoes, the one you choose will depend on your own requirements and that will depend on the type of game you play and the surface you like to play on. The setting is a vital aspect of the game and timing and accuracy is vital to a great set. Reducing the spin on the ball will increase the float and that can make all the difference when your teammate goes for the spike. Volleyball was not always called Volleyball, in fact, it was called Mintonette until changed. Volleyball is now the second most popular sport in the world after soccer and is an Olympic sport since the 1964 Tokyo Olympics. We hope you enjoyed our article on "The 10 Best Volleyball Shoes", if so, please share and rate it.